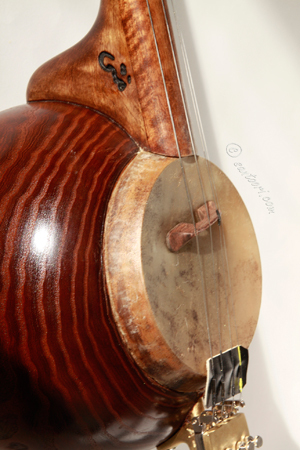 The specific term of Persian in the context of musical instruments refers to all musical instruments, which used to be played in the Persian classical music like Persian tar, Persian santoor, Persian ney etc... All other instruments, which are not used to be played in Persian classical music and refers to an Iranian ethnicity, will be called by the name of the folk like Kurdish daf or Baluchi Rabab. 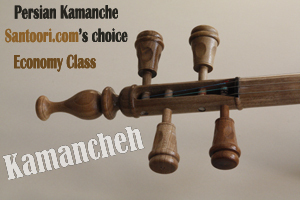 The term Kamancheh applied to various types of fiddle mainly found in Iran, the Caucasus and Turkey. The word Kamancheh is documented from the 10th century and the instrument probably reached Byzantium in the 11th or 12th century via Anatolia. 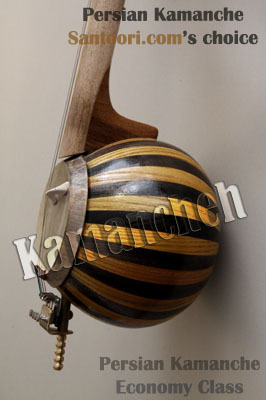 Kamancheh, the Persian spike fiddle, has a spherical body built of tapering wooden sections or carved in one piece. The bridge rests on a circular sound-table which is made of very thin lamb or fish skin. 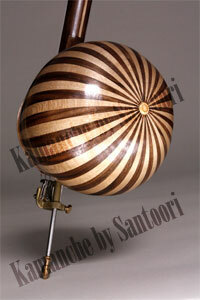 The rounded neck is fixed to a spike which passes through the body and acts as a support for the instrument. 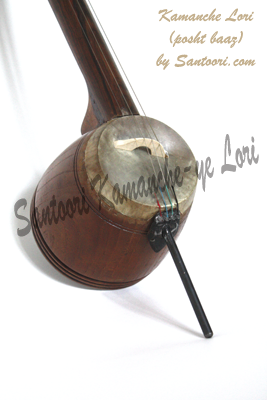 During performance the player rests the instrument vertically on the knee, and turn the instrument to meet the bow rather than guiding the bow across the strings. The bow hair is tightened by inserting the fingers between the horsehair and the wood. 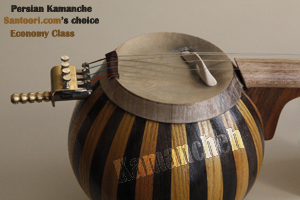 Because of its soft, beautiful timbre and technical possibilities the kamanche is used equally as a solo or ensemble instrument. The Kamancheh type used in Lorestan, which is called Kamanche-ye Lori or Kamanche-ye Posht-Baaz has a cone shaped body open at the back , or be made of a spherical gourd.